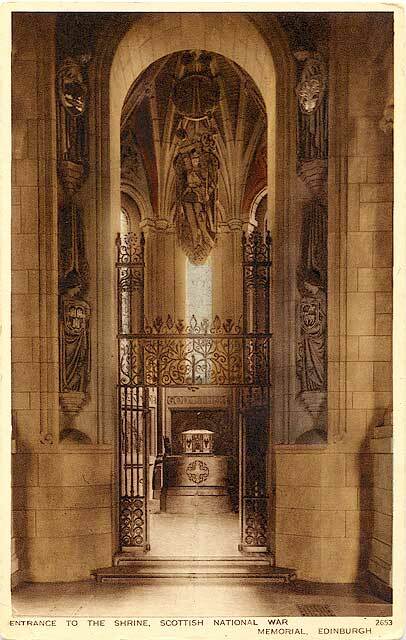 Here is a photograph of the entrance to the shrine at the Scottish National War Memorial at Edinburgh Castle. The photo was taken by and the card was published by A R Edwards, Selkirk, Scottish Borders. A R Edwards has published several postcards from his photos of Edinburgh, some taken in dramatic lighting.